Muhamed is now fully recovered – thanks to the care of the staff at the ADRA/Adventisthelp emergency Field Hospital. 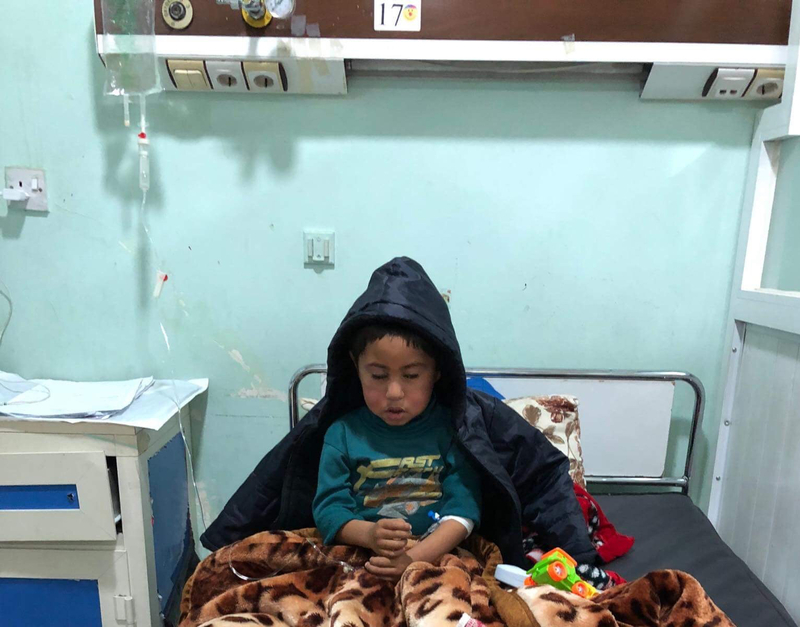 Muhamed is being discharged from the hospital in Erbil and returning to the Hassan Sham U2 camp where he will be under the ongoing care of the staff at the ADRA/Adventisthelp Emergency Field hospital. Thank you to our donors who helped fund medication and physiotherapy equipment for Muhamed. Little 4 year old Muhamed has been living with his family in the Hassan Sham U2 camp, 25 kms east of Mosul. It is winter and living in a tent is cold and damp. Muhamed was taken to the ADRA/Adventisthelp Emergency field hospital in the camp and was immediately referred to a hospital in Erbil. His has been in a critical condition with “water in the lungs”. Muhamed has been in hospital for several weeks now undergoing bloods tests and X-rays. Our team member Darya Mustafa, organised transport by ambulance for Muhamed to the hospital and has been overseeing his care along with the doctor at the hospital. ADRA/Adventisthelp have been wonderful providing prescribed medication FREE from their pharmacy at the camp. Operation Hope has funded medications and physiotherapy equipment for Muhamed costing USD161. We are praying for a speedy and full recovery for Mohamed and will keep you updated with his progress. Darya regularly provides (at his own cost) food, juice and biscuits for Mohamed because the hospital does not provide any of these items. If you would like to help with these ongoing costs please click the donate button. Previous Previous post: Unnamed pregnant mother – Medication funded.